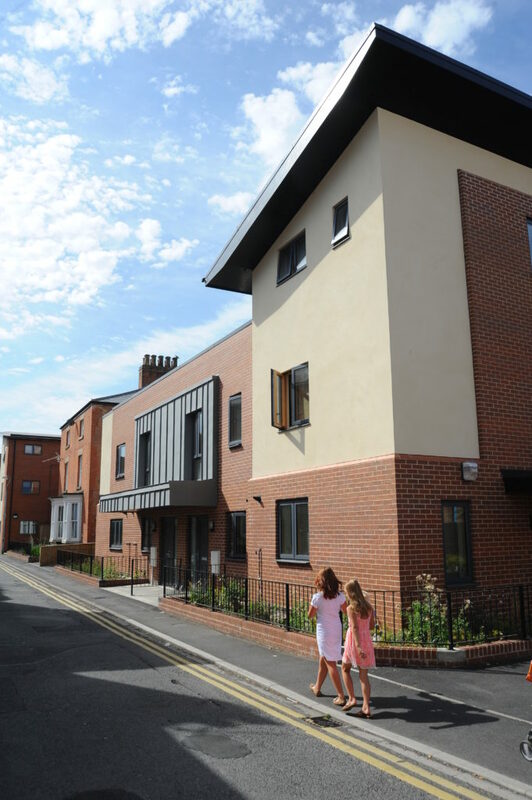 An award winning eco-development, Cross Street, in the centre of Gainsborough has proven to be a cut above the rest. The buildings’ energy efficiency levels in the first year from July 2012 have exceeded the designed performance expectations. Evaluation of the energy efficiency of the new build houses on the scheme, by Longhurst Group, the University of Lincoln and the Technology Strategy Board, has shown that nearly all targets, such as energy consumption, U-Value and thermal efficiency have been met or exceeded. Along with key performance information, the case study released this week contains links to online videos that give an overview of the project from start on site, at hand over and following the first year of occupation. The key to the success of this project was the smooth partnership working between affordable housing provider L&H Homes, Alan Joyce Architects, contractors Robert Woodhead Limited, West Lindsey District Council, and Richard Julian & Associates, who all played a role in ensuring the build process ran smoothly. It is hoped that the findings from this project will influence future low energy design for residential developments, ease fuel poverty for tenants and reduce the environmental impact of projects during construction and in use. Cross Street is the first development to be awarded Code for Sustainable Homes Level 5 for L&H Homes, as well as being the first in the West Lindsey District Council area. The development has transformed the Councils old car park and disused Georgian office building, creating 7 sustainable new homes.